Unplugged in the Essex wood. Living off the land with @bmoremelloyello on our days off. 12 dollars a pound from the produce company, free 5 minutes from our house. 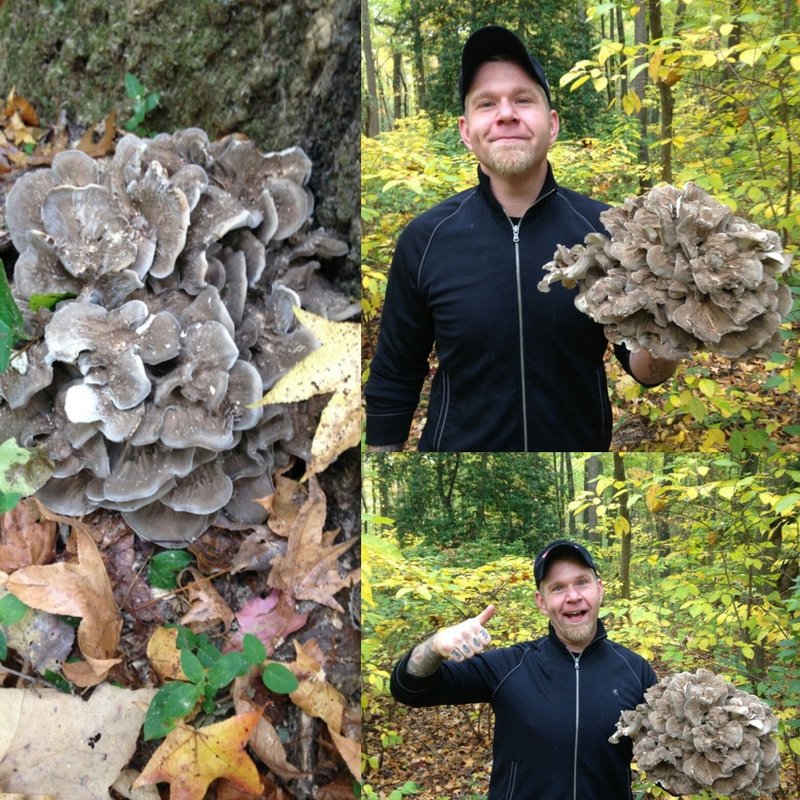 This entry was posted on October 29, 2015 at 12:00 am and is filed under Chef, farm, foraged, mushrooms, My Work, vegan, vegetables, Wilbur Cox Jr. with tags Baltimore, Essex, foraged, foraging, Hens of Woods, in the woods, local, Maryland, unplugged, wild mushrooms. You can follow any responses to this entry through the RSS 2.0 feed. You can leave a response, or trackback from your own site.